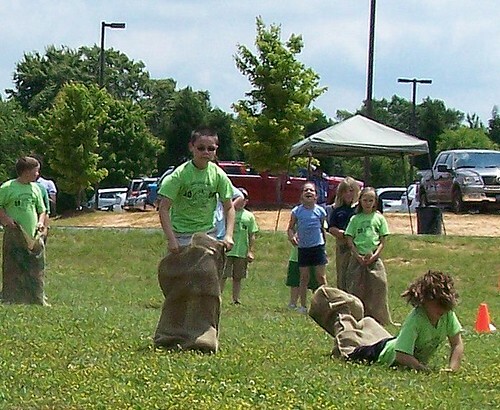 field day, tony running the sack race. the little girl in the blue shirt to the right, is taylor, his ‘girlfriend’. they’ve been in the same class for the 5 years they’ve been in school, and jessica teases them that they’ll get married someday.